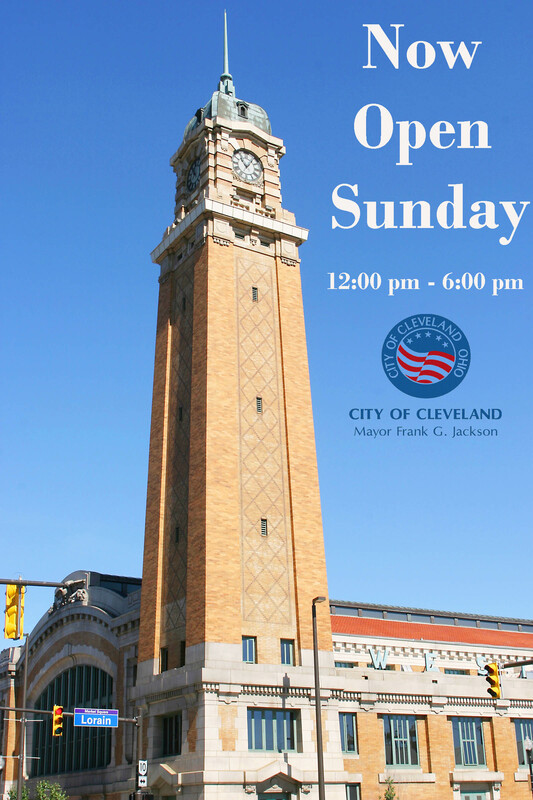 The City of Cleveland announced today that the historic West Side Market will now be open on Sundays from 12:00 pm – 6:00 pm effective April 1, 2016. In addition to the change in the hours of operation, the consolidation of parking lots A and B behind the Market is expected to begin in March with a completion date of December 2016. After completion of the lot consolidation, a small parking fee is expected to be enacted. That fee has not yet been set.